At the end of the game when we see the Normandy crash land on the utopian looking Earth like planet, the Indoctrination theory would have it that that scene is a dream. It simply does not make sense that the crew would be aboard the Normandy or that Joker would run from the fight, or that it would manage to crash on a perfectly inhabitable planet by some miracle. Could this be Shepard dreaming about a desired outcome? Well digging into the texture files in the PC version some fans stumbled upon this seemingly damming piece of evidence. This is the textures files from those scenes. We know this not only because we can clearly see they are but they come from the package "BioA_End003_Planet". Note the package this is from is "BioAp1_Lv1_Dream". So evidence completely discredited? Well not entirely, there certainly could be some significance to the fact that the same plants are seen in Shepard's dream and the Normandy scene that might be a dream/hallucination. However it is just as likely that these texture assets were created for the actual dream sequence and then reused for the Normandy scene. Here is another interesting find. BSN forum user Giskler found this in the files related to the Illusive Man showdown. That's right they are Reaper Indoc effects. I was looking through some save game editing plot flags and noticed that the line for End001 (Destroy) is different than End002 and End003. Destroy Sets 3 PlotIDs for the future. Not only do Synth and Control not set 3Ids. They do not even set 1. Pick destroy, and have a future, or Synth/Control and not have a future. Bioware does not even bother to track which one you picked if it wasn't destroy. As far as they are concerned synthesis & control are the same thing. = Indoctrinated. UPDATE: It seems that "End001", "End002" and "End003" actually refer to the section of the ending, rather than each ending choice. So this could also have no meaning I have yet to confirm but will update if this is proven. If there was any doubt that Control is a bad ending, this snippet of code describing the different endings should clear it up. 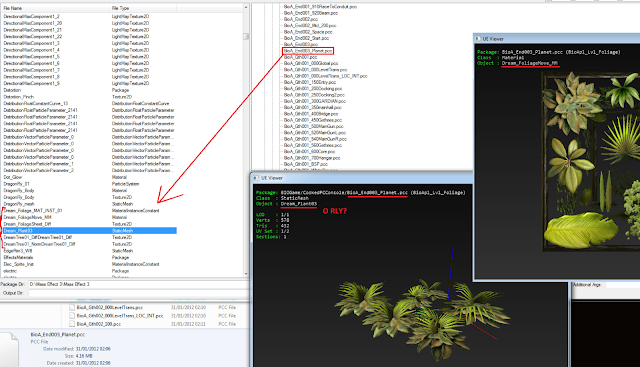 According to these lines of code, choosing Control means you are choosing to "Become a Reaper"! It also worth noting that in the Official guide it names the "Control" option as "Become a Reaper". Does that sound like a win scenario? Bioware intended the ending to be controversial. They wanted us to debate what the endings mean, which suggest to me they intended there to be deeper interpretations other than a simple literal one. I doubt they expected as much anger and backlash though. I also doubt they expected there to be as much debate afterwards either. Or maybe they did? I certainly did not expect to write a 10,000 word document on the ending! From the Digital magazine for iPad and PC "The Final Hours of Mass Effect 3"
"Hudson and Walters spent most of their time focused on refining the end of the game, the final hour of Mass Effect 3 that would be choreographed down to the second"
If it was choreographed down to the second how could so many illogical things happen during it? Unless all those illogical things are clues? "How to end the trilogy was another subject of great debate. The massive Illusive Man boss battle was jettisoned, but the team was still unsure how to wrap things up. Hudson was pretty sure he wanted this to be the end of the Commander Shepard story, but did that mean he would die or survive? For weeks Hudson and Walters discussed the emotions they wanted players to feel at the end of the game and then wrote dialogue and scenes to support those feelings. One night Walters scribbled down some thoughts on various ways the game could end with the line "Lots of Speculation for Everyone!" at the bottom of the page. In truth the final bits of dialogue were debated right up until the end of 2011." So we know they planned us to be speculating this ending. If the literal version was true I think it requires less speculation and much more questions as to why it's crap. And the fact they were debating the final bits of dialogue shows how much attention to detail they had. This was no slapped together ending that was rushed with little thought or care. "And even in November the gameplay team was still experimenting with an endgame sequence where players would suddenly lose control of Shepard's movements and fall under full Reaper control. (This sequence was ultimately dropped because the gameplay mechanic proved too troublesome to implement alongside dialogue choices.)" I think this quote is VERY important. As late into the development cycle as November 2011 they were working with a gameplay sequence that had Shepard fall under FULL Reaper control, which was removed. Note they did not mention removing a story section where Shepard was under Reaper control, but a gameplay sequence where Shepard was under FULL Reaper control. Suggesting to me that the game still contains that section with Shepard under partial Reaper control. 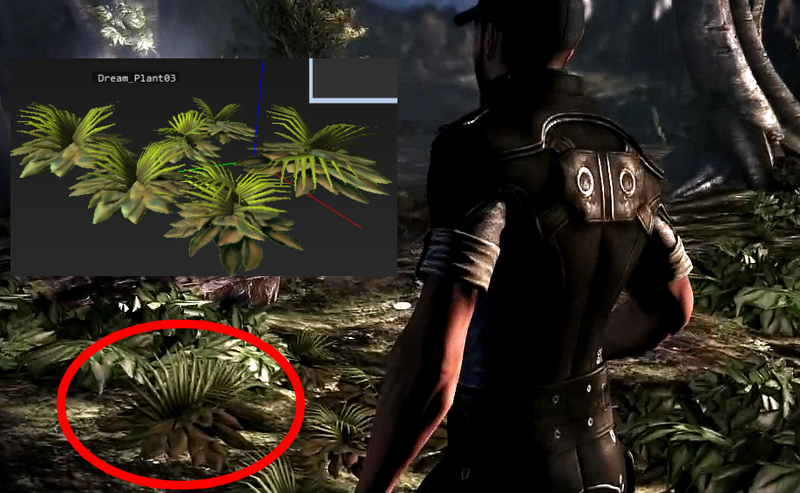 So Shepard being fully Indoctrinated was a part of the game, for a FACT as late in development as November 2011! "We appreciate everyone’s feedback about Mass Effect 3 and want you to know that we are listening. Please note, we want to give people time to experience the game so while we can’t get into specifics right now, we will be able to address some of your questions once more people have had time to complete the game." This says to me there are twists in the plot that they don't want to reveal until more people have played. Would also be a good reason to hold back an ending that exposed these twists until the summer. One of the strangest things about the ending, regardless of if the Indoctrination Theory is correct or not is how many comments Bioware have made that seem to contradict the ending as it stands now. Could these be clues to what is coming in the Extended Cut? Could it be the original ending was cut out to be used in the EC? If not then why do many of these comments seem like outright lies? Whether you're happy or angry at the ending, know this: it is an ending. answers after finishing the game, Gamble promised. "Of course you don’t have to play multiplayer, you can choose to play all the side-quests in single-player and do all that stuff you’ll still get all the same endings and same information, it’s just a totally different way of playing"
NOTE: The problem with the above quote is that it seems almost impossible the get the "perfect" ending with Shepard surviving with only the single player. NowGamer: "You have taken a lot of risks with the franchise as well. Would you ever go as far as to take the risk where the Reapers win. Could that be a choice in Mass Effect 3?" NowGamer: "That's all your saying right?" It's pretty obvious that taken literally the Reapers cannot win at the end of Mass Effect 3. So was Mike lying? Or did this change? 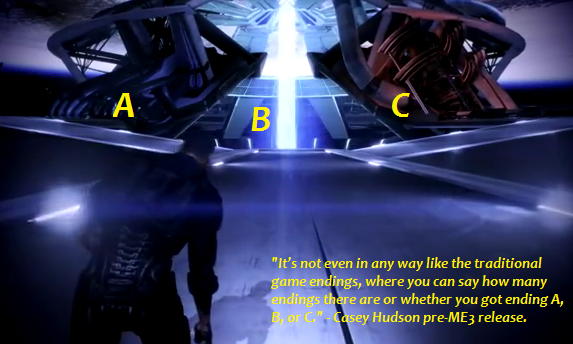 Or is there some other way Mike views the ending in which he sees it as possible the Reapers can win? Like choosing Synthesis or Control and being indoctrinated for instance. Listen to that interview. Was Mike taken "out of context"? It is hard to believe when you watch that video that Mike was confirming Bioware took the risk of allowing the Reapers to win as a reference to Shepard dying at any point in the game and getting "Critical Mission Failure"! In what way would that be a risk? Yeah real risky to do the same thing as every game ever made, that's like Nintendo claiming they took a big risk in the latest Zelda game because Link can die, only to discover he can die the same way he could in any video game, you just hit continue when it happens! - Comments made after the game went gold. So no changes could be made at this point. The ending on the disk, was set in stone (or digital versatile disk if you will). "From very early on we wanted the science of the universe to be plausible. Obviously it's set in the future so you have to make some leaps of faith but we didn't want it to be just magic in space." I believe this is the source of the term "space magic". My goodness Twitter has been a source of great debate around the end of Mass Effect 3, especially the Tweets of Bioware community manger Jessica Merizan and Associate Producer Mike Gamble. If this was in direct response to all the anger at the endings (which it clearly appears to be). Then logic dictates that he is suggesting they are planning something with the endings that he believes would remedy why people are hating them. And remember this was long before the Extended Cut was announced! Was an expanded ending planned from the start? Remember this was 2 days after release! So if we knew what was in store we would be less unhappy about the ending according to Bioware! So something was already planned 2 days after release, long before the anti-ending movement even really gained traction. I think it is clear from this that they are not talking about any old DLC, but very specific DLC related to what people are upset by. The endings! It would seem that Bioware always intended to do something that would change peoples feelings towards the endings. If Indoctrination was the intent, then a delayed reveal to allow people time to experience and speculate would not only make sense, it would be brilliant. It would be one of the best events in gaming of all time! Especially if it was on the back of months of heated debate on the issue. @masseffect @PatrickWeekes did you feel pressured to change the ending, Isn't it important to stick to your guns on some things? It appears clear as day to me that this tweet is pretty much outright saying the Extended Cut was always planned and is not a response to the outcry. That would support Indoctrination Theory. Even more interesting is that this tweet was later deleted! It can no longer be found on Twitter! @masseffect Whats with the ending? It was confusing and very dreamlike was it supposed to be like that? Bioware has a tradition of big twists. If Indoctrination Theory is true it would actually be completely in line with this history. The only difference would be the lengths they went to pull it off and make it subtle enough that a future reveal would be needed to fully confirm it. Baldur's Gate: You turn out to be the son of the Lord of Murder, and the major villian is your half brother, and in Baldur's Gate 2, the character of Imoen turns out to be another Bhaalspawn, your half sister, and the villian of Irenicus turns out to be a banished elf from Suldanesselar. Star Wars: Knights of the Old Republic: Major twist at the end of the game where you turn out to be the games main villain that you have been hunting the whole game. Jade Empire: Your master, who guided you through the game, turns around and kills you at the end. Neverwinter Nights: A very similar ending to the Indoctrination Theory. A "mind flayer" convinces you the game is over and that you 'won', even though it's all an illusion. Dragon Age: Has an 'ending' similar to IT where you succumb to an illusion. But when you think about it, Dragon Age repeatedly confronts you with an alternate reality (the Fade) featuring a small child (a demon's preferred non-scary form) with a strange, double-sided voice which presents you with an illusion and a choice. If you choose wrongly, you succumb to the illusion- if you choose correctly, you awaken from that illusion. I think you actually know about this one, but just in case. Pretty much speaks for itself. 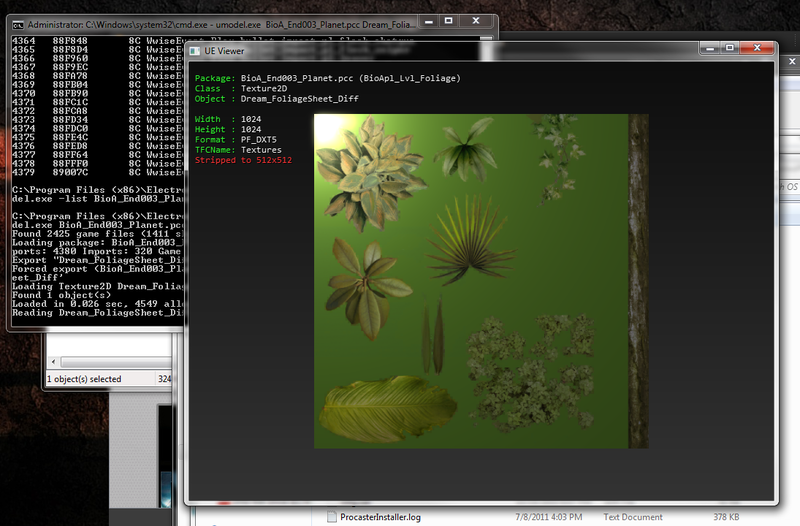 This = geth are alive too. They have the reaper code upgrades now, sure, but so does EDI. The picture at the top comparing Shepard with synthesis/control Shepard and TIM makes me notice something thinking of the husk thing. I always thought that TIM's lack of skin on his neck and chin was something metal like the reapers themselves, but looking at this picture I realized it has a husk-like texture. Is it possible TIM's indoctrination was increased to the point that he started to become a husk. This comparison supports IT because that's exactly how Shepard appears. So, a question that I think should be addressed. The tweet by Mike Gamble says that BioWare has plans for something in the future in regarding the mass effect 3 ending, possibly meaning that Shepard could appear at some point in mass effect 4. While that is the preferable thing to believe and the most acceptable, what if he was referring to the extended cut since that tweet was made before the extended cut was released, and not referring to mass effect 4? Apparently all their tweets meant that these people were lying to us, just like they were lying about the ending during all their interviews in the first place. Sad but true, after 5 years they still haven't presented anything to back up their bald words and smiley faces, sorry excuse that the Extended Cut was doesn't even count as an atempt IMO.